After a long period of time, the common quilt cover will be mildewed, as well as mites, bacteria invasion. Silk is covered with a layer of sericin, which has natural immunity to mites and various microorganisms. Therefore, silk quilt can be used for 15 to 20 years. So the quilt is more cost-effective. When a person sleeps, the skin does not rest. It emits water and heat, containing toxins discharged from the human body. Silk "hydrophilic side chain amino acids" can absorb moisture in the air and remove it to keep the quilt dry. So when you sleep, you will feel more comfortable. In winter, when the weather is dry, chemical fibers are prone to generate static electricity, adsorb skin debris and a lot of dust, and their health is not guaranteed. 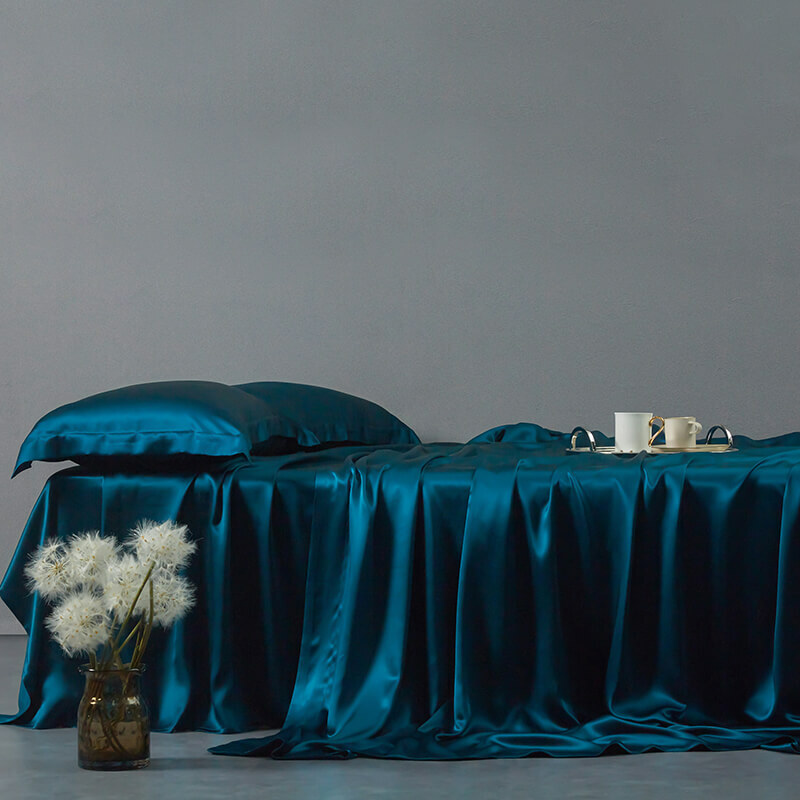 Silk is a protein fiber, friction will not generate static electricity, so silk quilt is the cleanest quilt; therefore, it is very suitable for both the elderly and children. Silk contains 18 kinds of amino acids and natural porous protein fibers. It can regulate the blood circulation and metabolism of human body, enhance the cell vitality of human skin, and delay skin aging and nourish skin. Silk contains the highest "silk volume gap" in the fibers, which can reduce heat conductivity when it is cold, and its warmth retention is better than that of leather, cotton, etc. When it is hot, it can eliminate excess heat and keep the temperature inside the quilt comfortable. So don't worry about the problem of sleeping at night and getting cold, adapt to all kinds of constitutions. Silk in the silk quilt can be drawn to 1500 meters of long fiber, is a pure natural protein fiber, to ensure your health; silkworm farming square kilometers cannot be sprayed with pesticides, which shows its green health. So newborn babies are very suitable for using such silk quilts. Silk quilt is warm and comfortable, leaving the cardiovascular load free, so you don't have to be pressed by other heavy quilts. Protect your heart and blood vessels from excessive stress and stress during sleep, making you sleep more comfortable, sweeter and healthier. Natural silk contains a substance called "hydrophilic side chain amino acid", which can quickly absorb moisture in quilt. With the help of good air permeability of silk fetus, the quilt can keep dry and wet, and achieve the effect of preventing rheumatism, arthritis and skin diseases.